United Soybean Board (USB) director Doug Winter and Bob Metz, director, South Dakota Soybean Research and Promotion Council, which was the main sponsor of this year’s event, traveled to Malaysia. The two farmers presented “U.S. Growers Perspectives: U.S. Soybean Crop Production Outlook,” sharing their expertise and viewpoints on the condition and progress of the new soybean crop in their areas and on a national level. They also shared how each of them relies on the latest farming technology and adherence to sustainable farming practices. Patrick O’Leary, chairman, Minnesota Soybean Research and Promotion Council, participated in a panel session that discussed concerns affecting not just the U.S. soybean industry but international agricultural trade in general. Representing the U.S. soybean crushers, Thomas Hammer, president of the National Oilseed Processors Association (NOPA), spoke on the state of the U.S. soybean crushing industry and the new crushing facilities that are coming up to meet increasing U.S. soybean meal demand. He also reinforced the commitment of the U.S. Soy industry to its international customers. The 2018 Southeast Asia U.S. 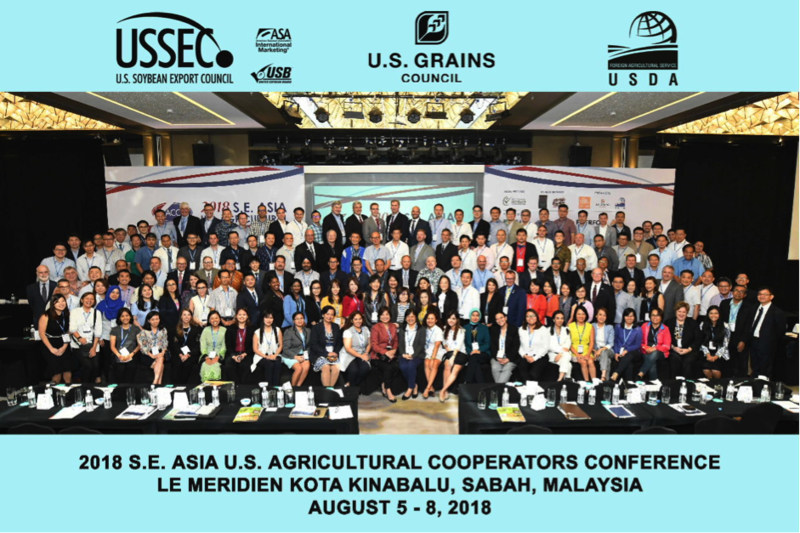 Agricultural Co-operators Conference hosted over 180 participants and generated over 1.1 million metric tons of business interest for U.S. agricultural products.